Nora Barnacle is probably best known as the wife and Inspiration of James Joyce. Although sometimes overshadowed by the genius of Joyce she was a strong and independent woman in her own right. Growing up in Galway in the late 1800’s she knew a life of poverty and deprivation but these circumstances did not hinder her free spirit. After the death of her first love Michael Feeney she fell in love with Willie Mulvagh but he was a protestant and her uncle disapproved and they quarrelled. Nora ran away from Galway to work in Dublin where on the 16th June 1904 she met James, and it’s now celebrated every year as Bloomsday. 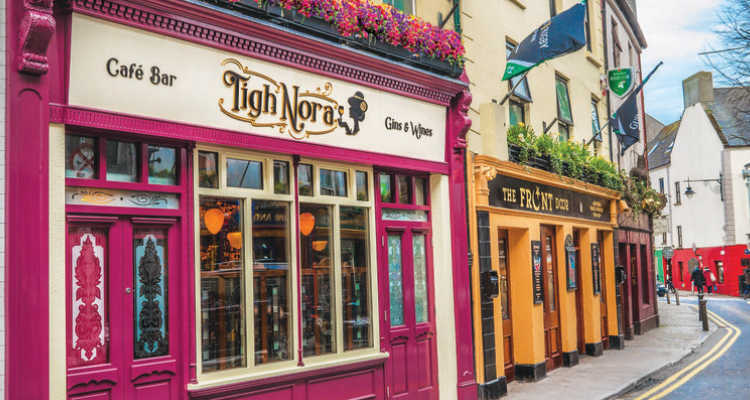 The Nora walking tour will tell the story of the houses that she stayed, the bar that is named after her (Tigh Nora), and the place that she grew up. Two dates for this event: on Wednesday, 10 April & Thursday, 11 April.